"SAKATA INX Group Basic Policy" is established for the sustainable growth of SAKATA INX Group. We will build good relationships with various stakeholders and contribute to the sustainable development of society. 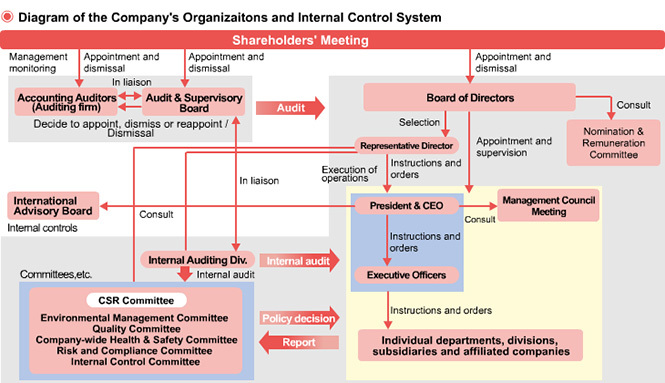 SAKATA INX′s basic approach to corporate governance is as follows. We believe that maintaining awareness of the need to build good relations with many stakeholders in our company (society, local communities, shareholders, customers, suppliers, employees, etc.) and increasing the significance of our company in society will lead to the sustainable growth of the company. We recognize that in order to achieve this, it is essential to strengthen supervisory functions, increase transparency in management, prompt decision-making and clarifying responsibility. As such, we have worked to build an appropriate corporate governance composed of the Shareholders′ Meeting, the (Board of) Directors, the Audit & Supervisory Board (Members), Executive Officers and the Accounting Auditors. The company′s Board of Directors is composed of 7 directors (including 2 external directors). It carries out decision-making on important matters and monitors the execution of each director′s responsibilities. The term of directors is one year. 2 external directors are appointed to clarify the responsibilities of directors and strengthen the function of management supervision. Furthermore, the Executive Officer System is introduced to divide the division of responsibility between management decision-making and supervisory functions and business execution functions. This system is also aimed to streamline operations and efficient management by clarifying the division of responsibility of business execution. The company holds Board of Directors meeting at least once a month, and actively seeks to hold Management Council meetings, which is an advisory body to the Representative Director, President & CEO. These meetings are held to execute the necessary measures in an appropriate and timely way by discussing important managerial matters and reporting results and progress. In order to fulfill our social responsibilities as a company, we have established the CSR Committee as the highest committee and appointed the Representative Director, President & CEO as its chairman with the aim to supervise corporate governance. 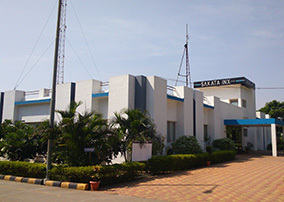 There are several committees under the CSR Committee. Furthermore, the "International Advisory Board" has been established on June, 2015 to give advice and suggestions on questions and inquiries regarding the global management of the Company and our Group, such as overseas business strategies and management issues of the whole Group raised by the Representative Director, President & CEO, effectively taking into account opinions of important officers, etc. of overseas affiliated companies. SAKATA INX has also set up the "Nomination & Remuneration Committee" on December 1, 2018 to increase transparency and to have an objective perspective during the process of determining nomination of Directors, Audit & Supervisory Board Members and Executive Officers and remuneration, etc. of Directors and Executive Officers. With this committee, we will bolster supervisory functions and also further enhance and strengthen our corporate governance structure. 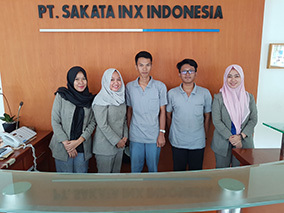 SAKATA INX is a Company with Audit & Supervisory Board Members. Our Audit & Supervisory Board is composed of 4 Audit & Supervisory Board Members, including 2 external auditors. The Audit & Supervisory Board Members attend important meetings such as the Board of Directors meetings and Management Council meetings described above to monitor the execution of directors′ duties by viewing important documents such as circular approval documents, and offer advice and warnings when necessary. They work in partnership with the internal auditing department (Internal Auditing Div.) and the accounting auditors in order to increase the effectiveness of auditing. SAKATA INX employs the current system because we believe that it allows us to carry out managerial decision-making and execute responsibilities in an appropriate way, and at the same time function effectively in terms of monitoring management. 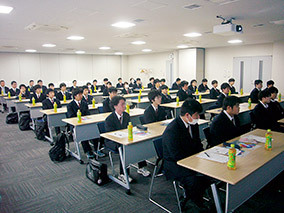 As one of SAKATA INX′s strategic themes in the mid-term business plan is to "strengthen corporate governance," we will continue to discuss and review our governance structure, etc. based on the content of "Corporate Governance Code." 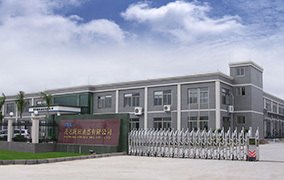 SAKATA INX Group respects other cultures and customs both domestic and overseas, and is committed to harmonious coexistence and cooperation with society. We make efforts to contribute to local communities as a good corporate citizen. Our business activities take into consideration of each aspect based on economy, environment and society. We are also known as a company actively promoting TPM activities. Japan International Cooperation Agency (JICA) trainees from Tunisia visited our Osaka plant as a part of Japan Productivity Center's training program. Trainees were highly interested in understanding how to improve productivity. 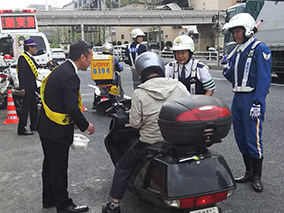 We participate in the traffic safety campaign twice a year in spring and autumn. We ask drivers to cooperate in safe driving, and remind them to be especially careful when they see childern and elderly people. We have educated our employees once again to follow taffic rules and the importance of driving safely. 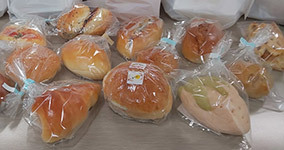 The employees of SAKATA INX CORP. buys bread from a social welfare organization, "Yamadori," once every two months. This organization has been supporting people with disabilities who are training to acquire job skills for more than 30 years. The labor cost is paid to the people who made the bread. We will continue to engage in activities to support job seekers. 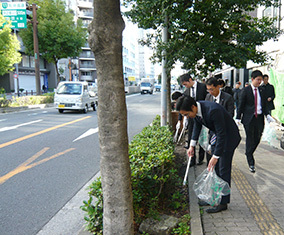 We participated in the city of Osaka's "Clean Up" campaign. Through this activity, Osaka elicits participation from citizens and volunteers to clean up public spaces to maintain the city's beauty. Our employees participate in this activity, clearing away the rubbish from the areas surrounding their office. We cooperate to make a clean town by taking part in community clean up activities. We took part in a charity campaign "Fooddrive" by employees donating preserved food. Goods were also donated to hurricane victims. 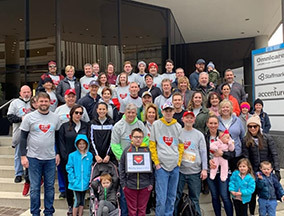 We supported the American Heart Association by participating the "American Heart Association walk." 2nd grade high school students came to do hands-on learning for 2 weeks to learn ink formulation, filling, making purchase order, etc. We also donated rice, sugar, etc. to orphanages on the anniversary of their establishment. Lawn mower was given to the residents' association in the industrial area. 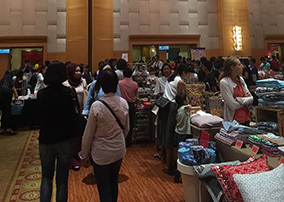 We donated to a charity bazzar organized by the Japanese Association, Kuala Lumpur. The proceeds are given to welfare institutions and organizations in Malaysia. We worked with other companies to maintain the park. We did safety inspections on the playgroud equipment, simple repairs and repainted the playground. MAOMING SAKATA INX CO., LTD.
As a major Japanese company in Maoming city, we worked with the city of Maoming to attract Japanese companies. We also welcomed students for a company tour. SAKATA INX (INDIA) PRIVATE LTD.
We continue to make donations to an international volunteer association "Kiwanis Club" that support children to improve health and to receive education. In September 2015, the "United Nations Sustainable Development Summit" was held at the UN Headquarters, and "Transforming Our World: the 2030 Agenda for Sustainable Development" was unanimously adopted. 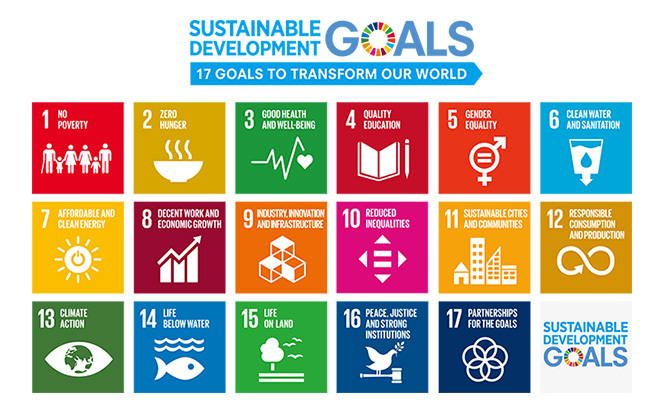 "Sustainable Development Goals (SDGs)" consist of 17 goals with 169 associated targets. To deal with proverty, energy, climate change, etc., these goals are set to be acheived by 2030. SAKATA INX Group will actively work towards to accomplish these goals through our business activities. Copyright © SAKATA INX CORPORATION All Rights Reserved.